serimony: Brooklyn Necklaces by Triggerhappy! Brooklyn Necklaces by Triggerhappy are available at Serimony! 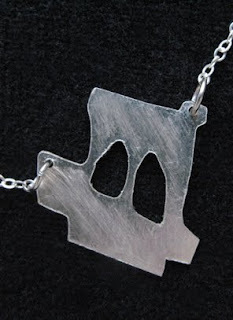 Represent Brooklyn by wearing your very own handmade, elegantly rendered bridge or water tower necklace... We love them! Available online or in our store.